The Blurb: Since its launch in 1990, the Hubble space telescope has provided astronomers with both information about the universe and extraordinary images. 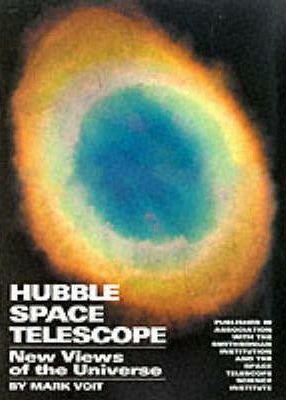 This book contains over 100 colour images from the Hubble. Humans have gazed at the sky for countless centuries, exploring the heavens. Until just a few hundred years ago, those explorations were limited to what we could see with unaided eyes: the Sun, the Moon, a few planets, some ten thousand stars and the indistinct smudges of three nearby galaxies. The invention of the telescope expanded and clarified that view a hundred fold, revolutionizing our understanding of the universe. Hubble has helped unlock some of the deepest mysteries of the cosmos during its first decade of operation, but other mysteries still beckon. An incredible future of discovery lies ahead, and even more powerful space telescopes are now being planned to further probe these puzzles and continue Hubble’s legacy. – .